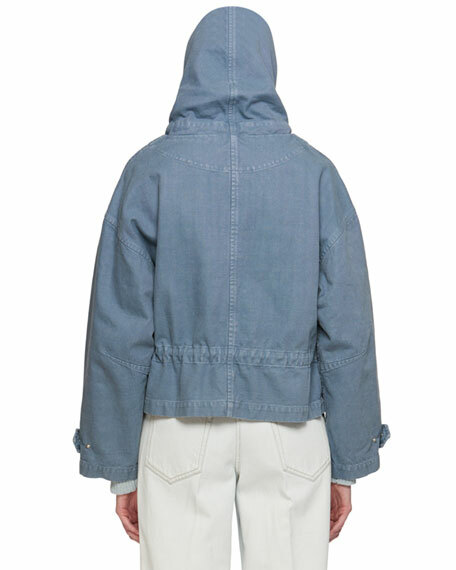 Etoile Isabel Marant "Lagilly" chambray jacket. Hooded neckline with added drawstrings. 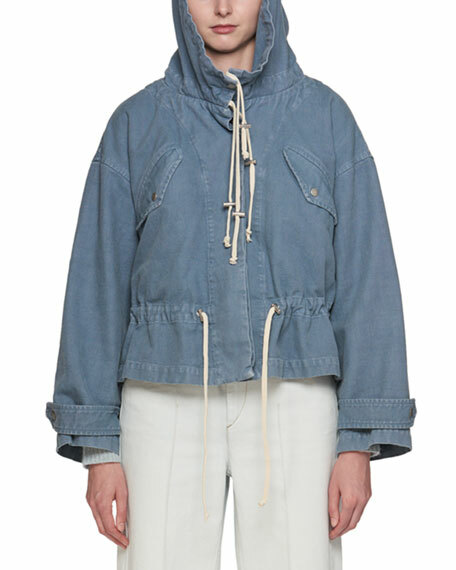 For in-store inquiries, use sku #2364747.